Well hello everyone. Long time no post, I know. I’ve been away and when I got back I walked into my little room and though “Oh what a mess”. So I’ve done a bit of cleaning. Inspired by my friend Sharon a couple of weeks ago, I decided to clean up all my floss and threads and put them in some sort of order. 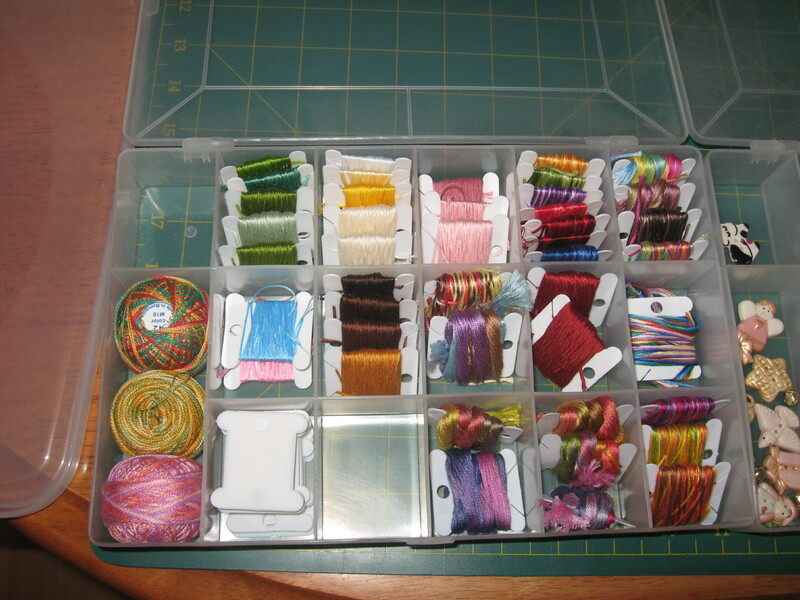 I found that I have a lot of variegated thread and even that I had two or three packets of exactly the same thread. 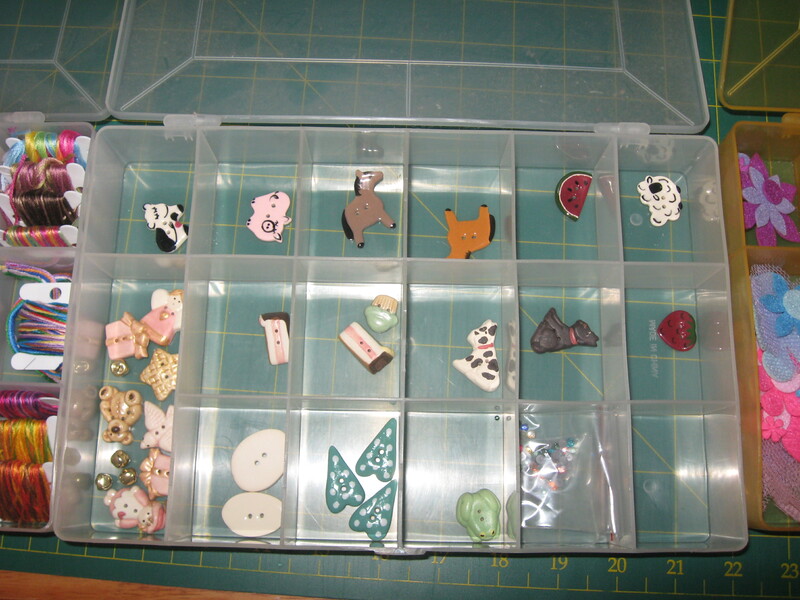 The next item to sort was my Giggle Buttons that I’ve collected for different projects, mostly of course Giggle Button projects and also some cute little ones, such as a horse, pig, sheep, cupcakes, etc. 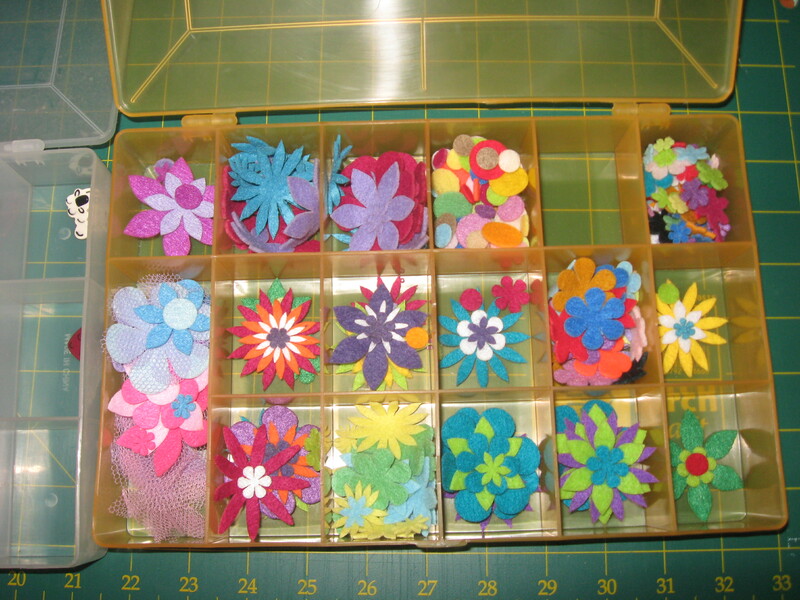 Next up was the many packets of gorgeous felt flowers and shapes that I’ve bought from the lovely Kirsty of Pompom Rouge. 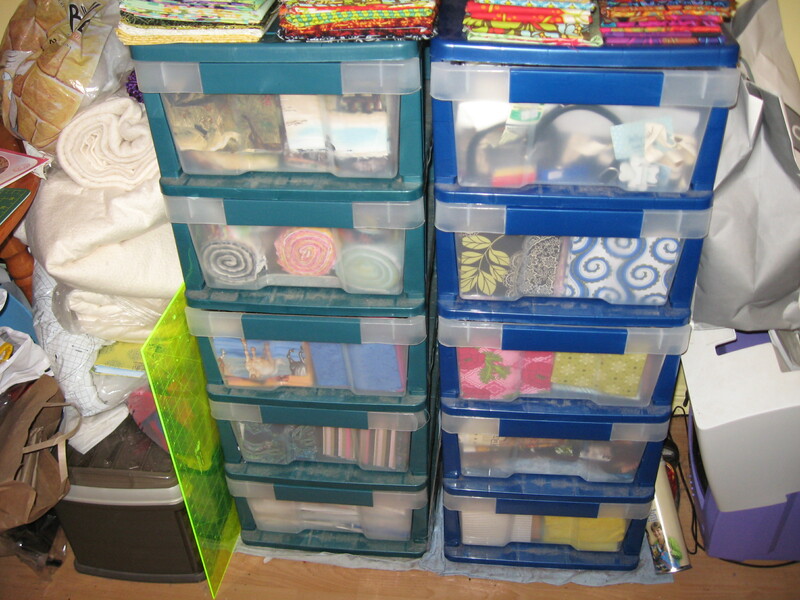 All of these were sorted into little fishing lure boxes that I used to keep my beads in. That was until I moved the beads into their own rather large fishing tackle box. But that’s a whole other post. 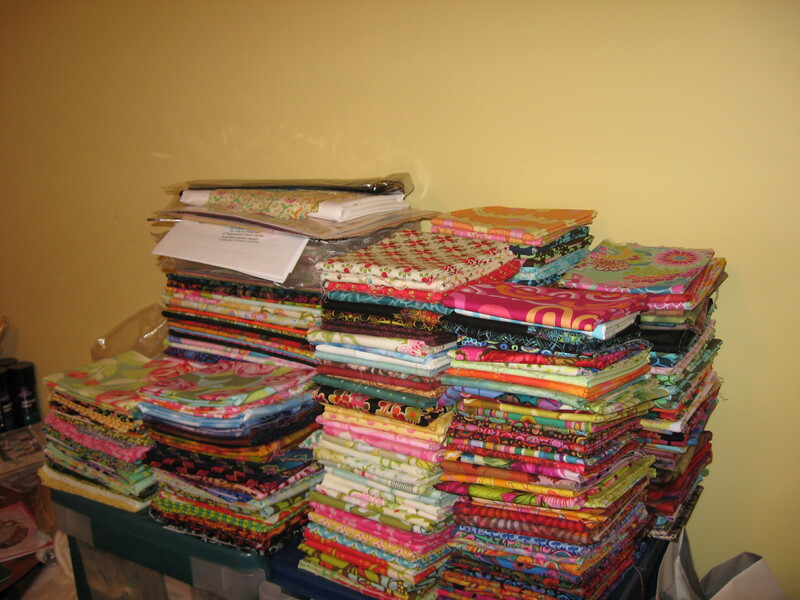 The other thing that I sorted and cleaned up was my fabric that was in 1/2 metre and larger cuts. It wasn’t till all of these were folded that I though, “Wow that’s a bit of fabric”. These folded beauties live on two sets of drawers that hold mostly fat quarters but also some patterns and miscellaneous notions. Of course, here’s a pic of the drawers. These I bought really cheap somewhere a couple of years ago. As you can see on either side of them I’ve got batting and all sorts of things stuffed in there. Anyway I’d better get going. More to clean. Talk to you soon and take care. That is a most impressive pile of fabrics! It is a little bit impressive, isn’t it, if I do say so myself. Glad to hear I’ve inspired something. The only tidy thing in my life is my embroidery floss. Of course you’ve inspired something Sharon. You do all the time.